Cabinet is constructed of solid maple and maple veneer. The interior on the upper half, including the doors, is lined with 1/4" pegboard. The lower half has one fixed and two adjustable 1" plywood shelves. Both sets of doors include locks. 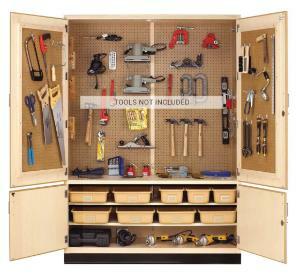 The cabinet can be ordered with or without tools—they are designed for a variety of tool combinations and with tools for a specific use. 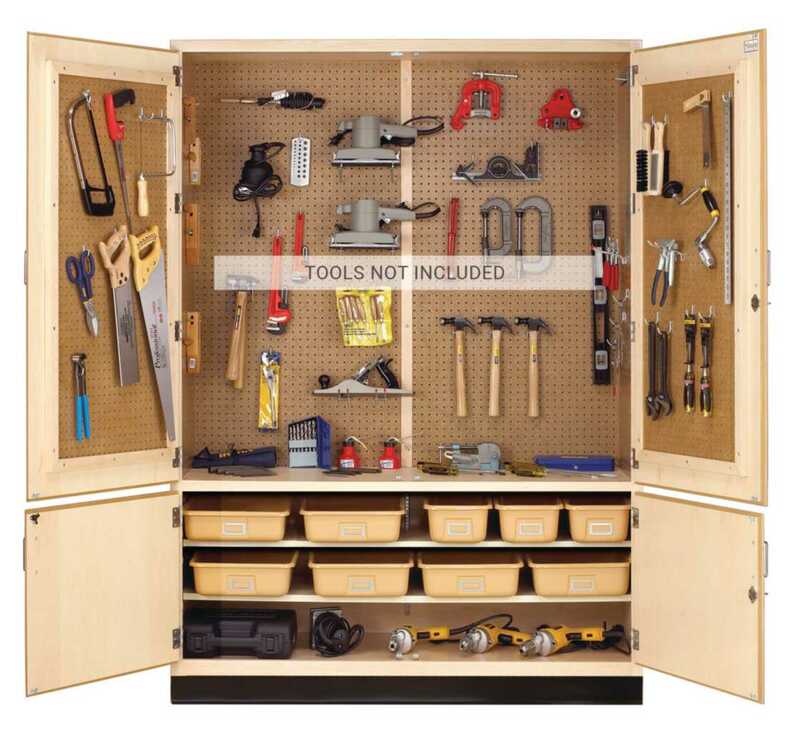 Totes and tools are not included.